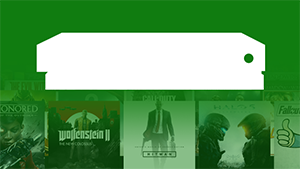 Among the slew of announcements from the Inside Xbox episode at X018 was adding more to the growing backward compatible library on Xbox One. The entire Final Fantasy XIII trilogy — Final Fantasy XIII, Final Fantasy XIII-2 and Lightning Returns: Final Fantasy XIII — is joining the program on November 13th, and each title will also receive Xbox One X enhancements. Which Final Fantasy XIII title are you most excited to dive back into? A gamer for 32 years from Texas. 32 years old. Now he hunts achievements and news without remorse. Lover of all things gaming. Buys way too many games. Will most likely never complete his backlog. He's probably streaming his adventures on his Twitch channel.